It's very kind of you to say "Thanks." I've had a number of lessons over the years and I would say my first lesson with you would rank at the TOP. Why? I appreciated your explanation of the various points you were trying to make. Plus, I understood what you were explaining to me. During previous lessons I sometimes felt confused, I never felt confused with your comments/explanations. In previous lessons I sometimes felt discouraged with the lesson, I did not feel discouraged with your teaching. In fact, I felt encouraged. Please know I'm not saying anything bad about the other instructors, just the differences I've experienced. Thank you and see you next Wednesday. The swing change worked perfect today! I can’t thank you enough! It’s easy to understand why you are one of the top 100 golf instructors in the world! In my book you’re number one! Mark, I wanted to take a minute and thank you for the lessons. I have consistently been putting up great scores and my handicap index is falling. I just got back from playing with a client in his member guest in Michigan. We won our flight, and for 3 days, I never lost a golf ball, never had a penalty stroke, and was in almost every hole for the entire weekend. I am excited to keep building on the progress. I just wanted to touch base and let you know that my golf game has really improved since your lessons. My drives are going further, my fairway shots are usually straight, and my short game is better. I played with a "veteran" at our club today, who hadn't played with me yet this season. She commented on how my game had improved since last summer! Golf is always a work in progress, but I just thought you'd like to know how pleased I am with my improvement. I should add that my partner and I won the Ladies two day Member-Member at our club last week. It was such a thrill for me! Thanks again! I have been a very serious golfer for the last thirty some years and have had the privilege to work with many different teaching pros around the country. 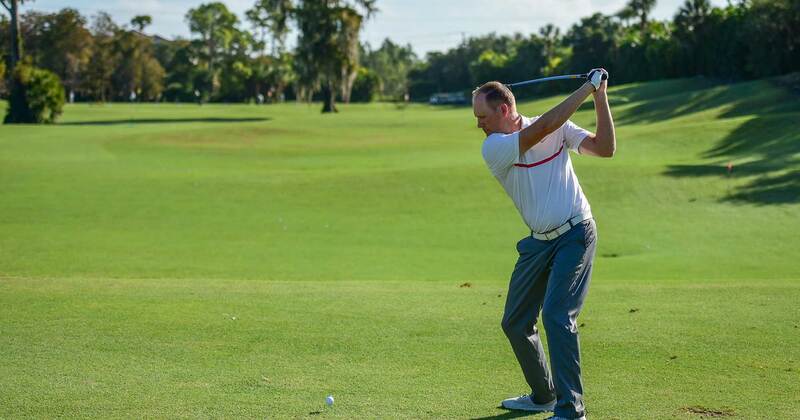 I have now worked with Mark for the last two years and feel he has done more to teach me the basic golf swing than any of my previous instructors. Mark , understands the golf sing and knows how to get the concept across to his students. 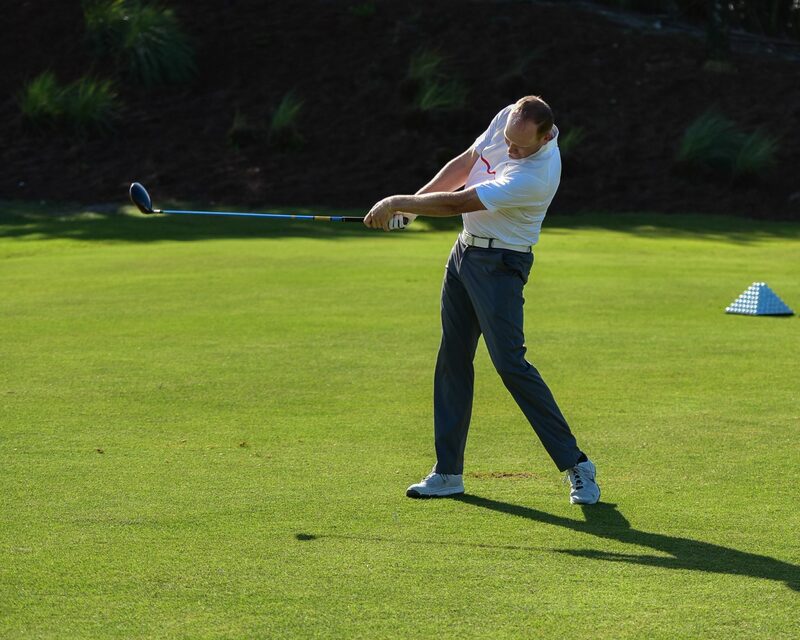 I would recommend Mark to any golfer that is serious about improving their game. After playing golf for over a decade and trying my fair share of instructors, I came across Mark Durland. He is not only a world class instructor but a student of the game himself. A quality person and golf professional that understands the difficulties of the game and tries to relay his advice to the student in a clear and easily understood manner. Mark doesn't overwhelm his students by throwing every technical term in the book at them, rather he works with the golfer to improve their game step by step. I highly recommend Mark Durland not only as a great golf professional but also as a friend. After a few lessons it was hard not to develop a relationship with him as well. Overall I couldn't ask for more, highly recommended." As a beginning golfer, Mark worked with me on every part of the game and brought me from a 30+ handicap down to a 12 over two years. He is skilled in listening and worked with me to improve my alignment for a more accurate swing and the results were better than I expected. I have recommended Mark's instruction to friends and they have all been pleased. Mark is a Professional in every aspect of the word. His knowledge of the golf swing and his ability to teach can help any golfer - the high handicapper, the scratch golfer and the professional. For the first half of the year, I was struggling, shooting rounds between 86 to 92 at my home course of Irem Temple CC in Dallas, PA. I had no idea where I was hitting the ball and my confidence was at an all-time low. I had one playing lesson with Mark and he gave me two things to work on with my golf swing. By the end of the round I was hitting more consistent and solid shots. The very next day I shot 78, my best score by far for the year. Since then, I have broken 80 several times. I even shot a 1-under 35 on the front 9 at Irem Temple. Mark, thanks for restoring my confidence and making the game more enjoyable for me. No two people swing the club the same way. Mark has helped me improve my game by identifying things that work for me to improve my game and making it more consistent. When swing problems arise, as they always do for amateurs, he can quickly spot the problem and rectify it, usually within one lesson. He has helped me with the mental game as well. He never lets you get down on yourself - always finding something positive to build on. (PS-my handicap has dropped by 25% after working with Mark). My son uses Mark when we vacation in Naples. He is a great teacher for a teenager, as his communication skills are strong for that age group. But Mark's effectiveness does not stop there. In 3 lessons he dramatically improved my golf swing with one simple change, plus gave me check points to keep it in tact while not in Naples. Mark has the personality, along with the golf skills, to allow someone like myself to enjoy lessons.